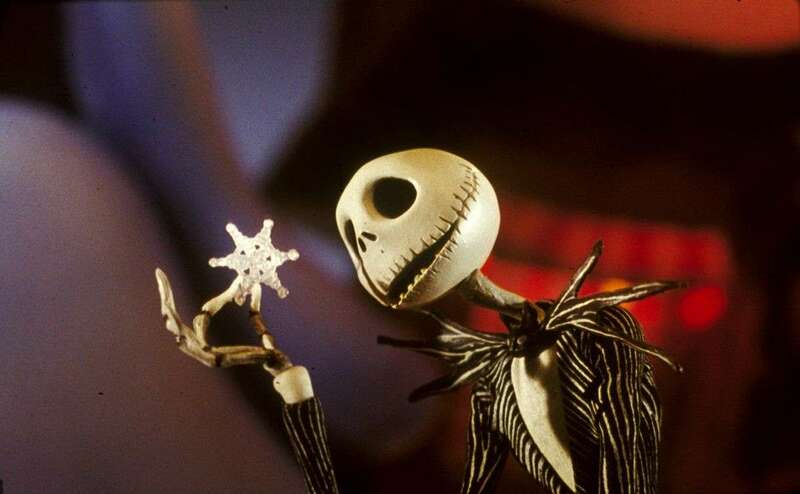 “The Nightmare Before Christmas” is a Christmas movie. There’s really no debating that fact. It has the word “Christmas” in the title, it features Santa Claus, a visit to Santa’s workshop, lots of toys and presents, a festive sleigh ride through the night sky, and lots of discussion about the Christmas season. It’s clearly a Christmas movie. I’m always baffled when people try to tell me it isn’t. The usual argument is that it’s dark and macabre, so clearly it can’t be a Holiday classic, but this is nonsensical. Yes, its ghoulish and often morbid imagery distinguish it from other Christmas films, and give it equal claim to being a Halloween film, but only the most limited of viewpoints would let those elements distract from what is clearly one of the all-time great Christmas classics. The film is all about how an outsider comes to view the way we celebrate Christmas. Jack Skellington’s wholly unique point-of-view allows the film to observe and dissect the eccentricities of our Yuletide traditions; most movies take these things for granted, as we tend to do every year. When we see a Christmas tree or a stocking or a candy cane during December, they are facts of life, fun but hardly spectacular. 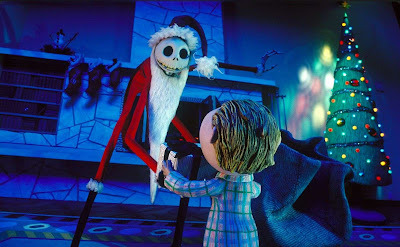 To Jack, however, it’s all new, and since he’s such a strong protagonist, we get to share in his wonder and experience Christmas with new eyes as well. 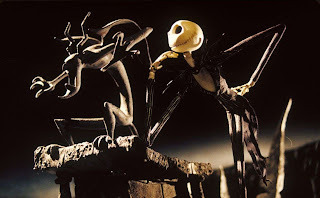 In that way, “The Nightmare Before Christmas” is a far more splendid celebration of the season than most Holiday films. Jack’s inexperience with Christmas also allows for a rather poignant discussion about how the aesthetics of Christmas often get in the way of the meaning of the season. To Jack, bored with his repetitive life, Christmas gives him a much needed shot of adrenaline, but as the “What’s This?” song demonstrates, he’s only interested in the surface elements of the Holiday: the snow, the light, the presents, Santa, etc. He isn’t looking any deeper, which is what allows him to make such grave miscalculations in the final act. But isn’t that how we all tend to act during December? Part of our fascination with Christmas is the same as Jack’s: we spend eleven months out of the year repeating the same boring routine, day in and day out, but when we get to December, we find an escape from the monotony in putting up lights, decorating the tree, walking through the snow, giving and receiving presents, etc. I think we all have our own “What’s This?” moment each year, and one of the film’s key messages is that while that sort of enthusiasm is good, a deeper understanding of the season is needed, as well as an appreciation for what is worth celebrating in our daily lives. We should revel in the Christmas aesthetics without using them as a buffer from monotony. Jack’s appreciation of Christmas is at its highest when he finds so many other things worth living for. Of course, that’s only one part of the film’s thematic tapestry. 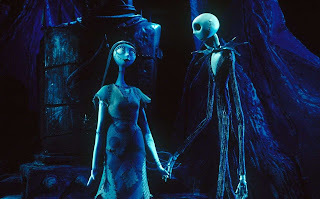 “The Nightmare Before Christmas” also has many good things to say about self worth, love, and finding one’s place in the world. Lest I get too esoteric, it’s also a ridiculous amount of fun, blindly creative, inventive, and surprising no matter how many times one watches it. How much more can I possibly say about the film? A classic like this hardly needs any extensive critical analysis at this point. I believe it is one of the greatest films ever made, an artistic triumph on every possible level. Though Tim Burton is often credited with the film’s success, he had very little to do with the production, supplying only the basis for the story. Screenwriter Caroline Thompson deserves credit for expanding and deepening the story, crafting a tight, expertly paced narrative. Director Henry Selick is a true visionary, and this is still his crowning achievement. The visual feast he and his animators crafted through stop motion animation blows me away each and every time I watch the film. Unlike many of today’s animated films, it is free of any pop culture references, and its aesthetics, a mix of German expressionism, Dr. Seuss zaniness, and real-world simplicity (as Selick himself describes things) could have come from any time or place or cinematic history. “The Nightmare Before Christmas” is the rare film that can be described as entirely timeless, a classic generations to come with discover and fall in love with. But the film is also far and away my favorite movie musical. Nothing else even comes close. Danny Elfman has written good scores, even great ones on occasion, but nothing else in his body of work hints at the genius on display here. The score is brilliant, of course, and Elfman’s performance as Jack’s singing voice is positively inspiring, but it’s the songs that bring this movie to life. They are catchy, creative, lyrically inventive, and layered with meaning. Each song has a purpose, a weight and heft that inform the development of the narrative and characters. 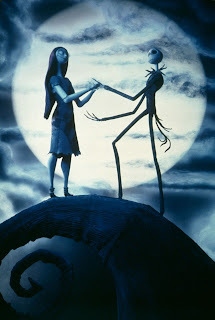 “The Nightmare Before Christmas” features the best integration of music, story, character, and visuals I have ever witnessed in a movie, and that undeniable sense of artistic unity is what makes the film a masterpiece. But I’m sure you already knew that. 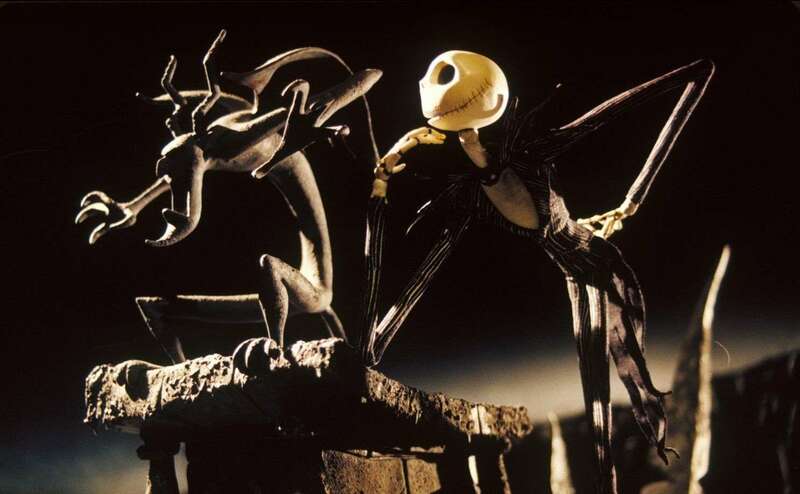 If you somehow haven’t experienced “The Nightmare Before Christmas,” your life is not yet complete. Now is the perfect time of year to become a believer, because regardless of what others may tell you, it is one of the quintessential Christmas classics.